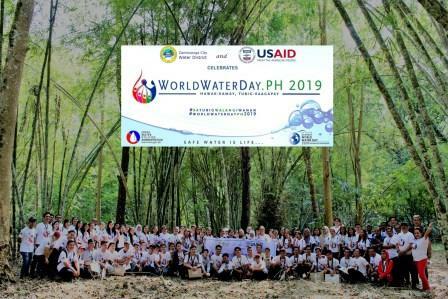 Zamboanga City Water District (ZCWD) joined the annual celebration of World Water Day with the theme: Hawak Kamay, Tubig Kaagapay, last March 22, 2019 (Friday) at Upper Pasonanca, ZCWD Banuang Science and Research Center. 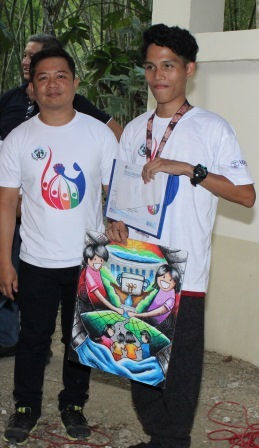 The participants were from Zamboanga City’s Senior High students namely; Ateneo de Zamboanga University – Senior High, Arturo Eustaquio Memorial Science High School, Southern City Colleges – Senior High, Baliwasan Stand Alone Senior High, Claret High School, Regional Science High School and Ayala National High School. This year’s theme Hawak Kamay Tubig Kaagapay derives from the United Nation Sustainable Development Goal 6, where, crystal clear water is available for all by 2030. The celebration aims to break through the reasons behind why marginalized people (women, unfortunate ones, refugees, children and so many others) were left behind and even discriminated when they try to access water. 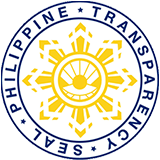 This year’s logo also symbolizes human figure joining hand-in-hand in addressing the said national concern, were the colors such as red represent “no poverty”, magenta: reduced inequalities; green: good health and well-being/sustainable environment; orange: theme pantone (leaving no one behind/sustainable communities/zero hunger). The celebration kicks-off with a mass officiated by Reverend Father Jonathan Berdejo followed by the messages from ZCWD Chairperson Jose Vicente F. Atilano III and Assistant General Manager for Technical Group, Engr. Arnulfo A. Alfonso, were they stressed out the scarcity of water with the onset of El Niño Phenomenon as well as conservation tips to help ZCWD in sustaining its water supply in the city. Corporate Planning Department Manager, Michael Angelo M. Carbon also share his insights with a video presentation concerning the water crisis of the world where it serves as an eye opener to the participants and all that the availability of water is one of the major problems we are facing right now, conservation is a must. 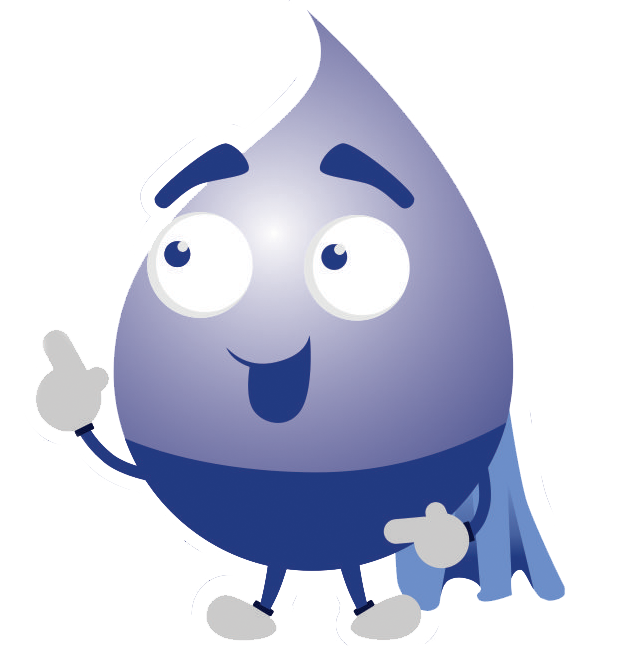 The Second half of the program started with a Water Treatment Plant tour were Engr. Teotimo C. Reyes Jr., Engr. Eugene S. Domingo, Mr. Tedilito R. Sarmiento and Mr. Eric V. Salaritan explained the processes of treating our water by phases in accordance with Philippines National Standard for potable water. In the afternoon, the students were educated in a symposium were topics such as Importance of Sanitation and Environment discussed by Ms. Anne Aubrey D. Bugtong and Wildlife Protection and Importance of Watershed was discussed by Dr. Reynaldo C. Navacilla, Field Site Manager of USAID Protect Wildlife Project, our partner in this celebration. 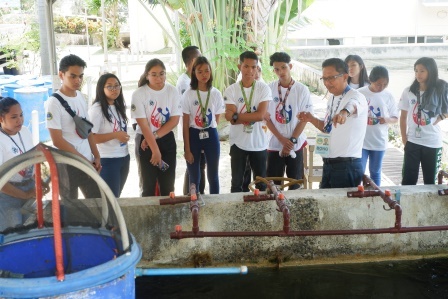 Division Manager Mirasol Larete Kanindot headed the Banuang Science and Research Center tour were sites as Nursery Area and the different flora and fauna species found in the watershed were introduced to the participants. Simultaneously, a poster making competition took place where each school has their own representative. The winners were, 2nd Placer Ms. Raffa Elyzza C. Bangay from Baliwasan Stand Alone Senior High, 1st placer, Mr. Melchius Louie G. Limpangog from Regional Science High School and the Champion Mr. Aldrin A. Pantilanan of Ayala National High School.